What does Free Beats mean? All beats that are up on the page as free or downloads are ONLY free for non-commercial / non-profitable use on demo-tracks. No mixtapes / no albums / no video-, TV- or radio-airplay! Free download does not mean “free beat”. The purpose is to offer people a pre-listening to decide if the song over my beat(s) is worth to invest in a license! You may upload your songs on Youtube, Soundcloud, etc. by mentioning Veysigz as the producer. Written credit must be given to “VEYSIGZ” (e.g. 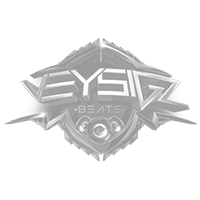 ‘Beat by Veysigz’) in any case. Will the audio tags be removed when i license a beat? Yes, you get your puchased beat without any voice tags. Can i re-sell the beat/s after purchasing a license? No, You are not allowed to resell beat(s) or transfer your rights of ownership to a third person. Each purchase includes a contract/invoice-receipt stating your rights of ownership/taxes, etc. and the files in .wav or .mp3-format. A normal lease includes the mixed stereo mp3 file of the beat. Premium Leases, Extended Premium Leases and Exclusive Rights also include the seperate multitracks of the beat(s). You will receive these files as electronic download-links, sent to your email-address (provided by paypal). I do not send any parcels or physical-data-discs. What is the difference between a lease and Exclusive rights? A lease grants you LIMITED user-rights to a beat and allows you to use it on up to 2500 copies (premium lease: 6000 copies / extended premium lease: 10000 copies). The purchase of Exclusive rights grants you UNLIMITED use on any medium! The most important point is that you only gain sole membership by purchasing Exclusive rights and will have the rights to get radio- and tv-airplay! A lease can be sold to more than one person at the same time until exclusive rights have been sold to the beat. I have purchased a beat. Can i alter it, cut it, etc.? As long as you have purchased exclusive rights to a beat, you are allowed to do changes to the beat-length, mixing, sounds, etc. by asking for permission via e-mail. This excludes leased beats! I’ve bought exclusive rights. May the beat be leased again or has it been leased before? Once a beat is sold “exclusive”, the beat may no longer be sold/leased. On the other hand it may be possible that a beat has been leased to several persons before it has been sold “exclusive”. On demand, we can take the sold beat(s) off our sites if the customer has purchased exclusive rights. Leased beats stay on the page since a lease is a non-exclusive license. How to buy a Beat using the Instant Store?